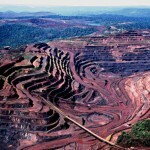 Brazilian iron ore miner Vale has been granted governmental permission to reopen the Brucutu iron ore mine in the state of Minas Gerais, Brazil. BHP has cut its iron ore production guidance for the 2019 financial year on the impacts of Tropical Cyclone Veronica, following a similar reduction by Rio Tinto yesterday. BCI Minerals has appointed contractor GR Engineering to provide services at the Mardie salt and potash project in Western Australia. The mining contractor has made two major Australian mining operations that have little in common more alike than they seem. Government reporting from the Australian Bureau of Statistics (ABS) and Geoscience Australia (GA) have pointed to a resources and energy sector in good health following on from a record $248 billion in exports in 2018. BGC is exploring options for the sale of the group’s national contract mining, maintenance and civil construction business, BGC Contracting. Mineral Resources’ continued growth through acquisitions and project development has hit the company’s earnings in its latest financial report. Fortescue has posted a large boost to profits and a surge in iron ore prices for the six months ending December 31, 2018. BHP has awarded its latest contract for the South Flank iron ore project in the Pilbara, Western Australia to Clough. The global iron ore price is expected to temporarily rise above $US100 ($138) per tonne due to fallout from Vale’s recent tailings dam disaster in Brazil, according to Capital Economics. There’s a way to avoid being harmed by mine dust including crystalline silica on the east coast and asbestos fibres on the west coast.